1. Tell us something about yourself (non-writing). I’ve never been convicted of verbicide, although I commit it whenever possible. It begins with simple voyeurism as I observe vocabulary in search of voluptuous verbiage whose virtue I can victimize. But it escalates as viable variations mutate into virulent viruses of high voltage vocabulary. As a vandal sees graffiti as art, so the vagrant wordsmith sees the pun as art. There’s visceral satisfaction in volleying puns. I can vouch for the validity of these claims, but verify them before you vote. Am I guilty of verbicide? Do slain syllables need vindication? Some verbal vigilantes are vengeful and violent. They vilify verbal acrobats so I vamoose by using my vanishing cream. A verdict will never stick; I use Vaseline. 2. Tell us something about your writing. I think I’m on the verge of greatness but until then I write fiction to experience vicarious victories through my characters. 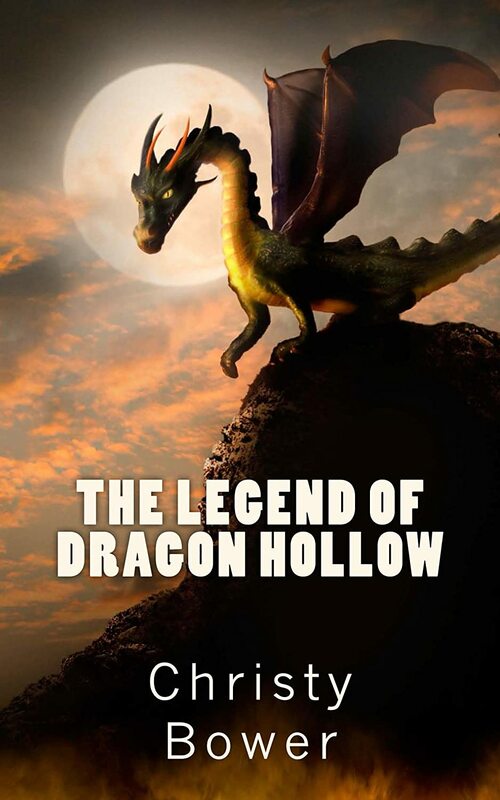 In The Legend of Dragon Hollow, three orphans search for dragon treasure but must vanquish the dragon. Their companions include Pete’s pet, Peeve, a gecko, and Donkey Oatie, who considers himself a virtuoso, vocalizing ditties and volunteering wisdom his mother used to say. You’ll find various literary allusions, puns, and even verbicide. But you’ll have to read the book before you can convict me of verbal abuse.